Ginormous, beautifully shaped bell peppers just scream out to be stuffed. They are the perfect showcase for any type of meat, vegetable and grain mixture. The flavor and ingredient combinations are limitless, which means it's a simple way to use up all those random odds and ends sitting in the fridge. In this instance, it was a great way to sneak in yet another member of my bountiful zucchini harvest. I didn't have any meat or cheese (considering my love of cheese this was a shock and has since be remedied), so I improvised with a selection of veggies and a couple of leftover cooked grains. It wasn't until after I'd eaten that I realized, "Hey, this was a vegan dinner ... and I didn't even really miss the cheese." Gently slice the tops off the peppers and remove the seeds. Place in a ceramic or glass baking dish. Set aside. In a large frying pan heat the olive oil. Toss in the garlic and cook until lightly golden brown. Add the diced zucchini and fennel. Season with salt and pepper. Cook until fork tender. Add the whole cherry tomatoes. Season with the thyme and cook until the tomatoes burst. Remove from the heat and stir in the cooked grains. 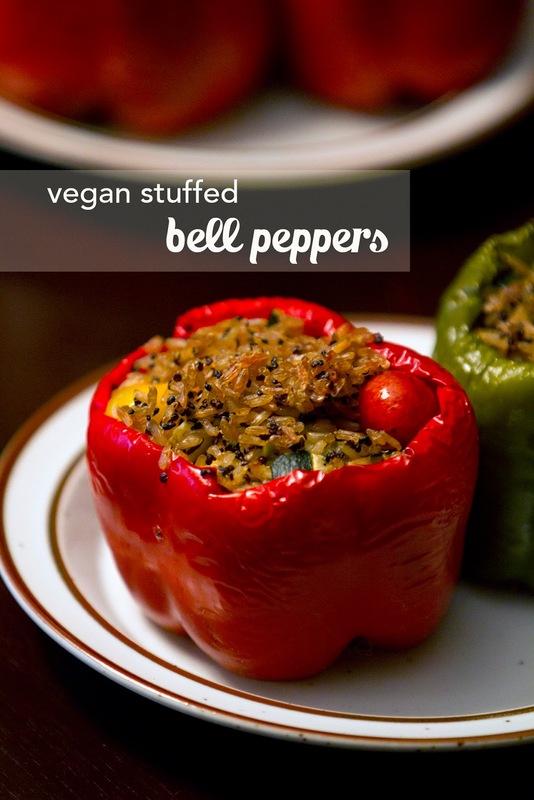 Spoon the vegetable mixture equally into each hollowed-out bell pepper. Pour 1/4 cup of water into the bottom of the baking dish. Place in the stuffed peppers in the oven and cook for approx. 1 hour, until the peppers are very tender. Drizzle with additional olive oil (if desired) before serving. I brought out an array of hot sauces to accompany these stuffed beauties. It added a little fun and extra punch, not that they needed it. 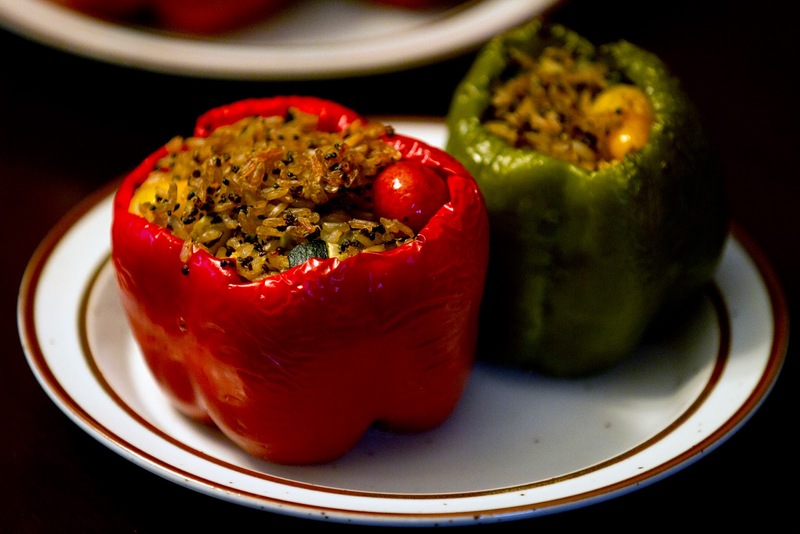 What are your favorite ways to make stuffed peppers? 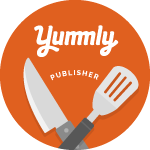 I love cooking Vegan, it is so versatile and easy to be creative! I"m not a huge fan of stuffed peppers, but love that you can use whatever you have in your fridge to fulfill this mission!!! Thanks for being a part of Meatless Monday!